Today (Friday, October 5th), American rock band Papa Roach have released two new songs from their forthcoming 10th studio album, Renegade Music and Who Do You Trust?. These tracks see the band continuing to push their momentum with bonafide rock anthems and fearsome hooks. Papa Roach have been praised by their peers in the rock world for achieving an “unlikely comeback”, with two decades of continued success and a career resurgence with their 2017 release, Crooked Teeth, which debuted in the Top 20 on the US, UK and Australian charts. Papa Roach have set out on a mini tour starting today in Richmond, VA, hitting ten cities across North and Latin America, before setting out on a December tour to various military bases in Asia. 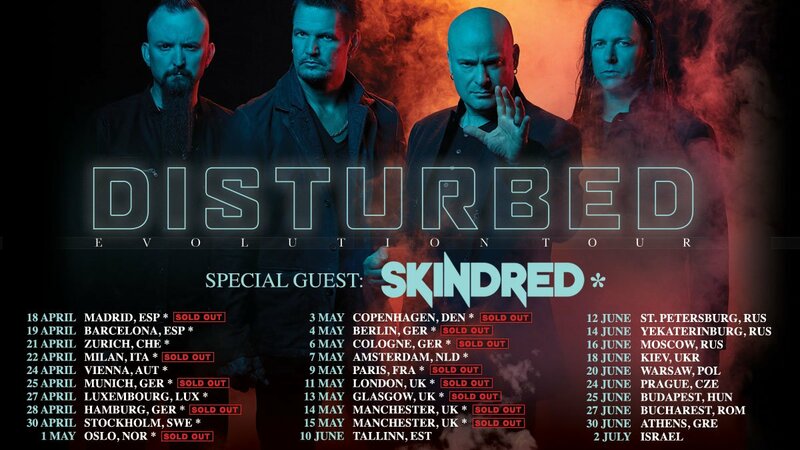 The band will also be joining Shinedown and Asking Alexandria on the 2019 North American leg of the Attention! Attention! World Tour.